Is this the scariest controller ever made? You can just picture the scene. 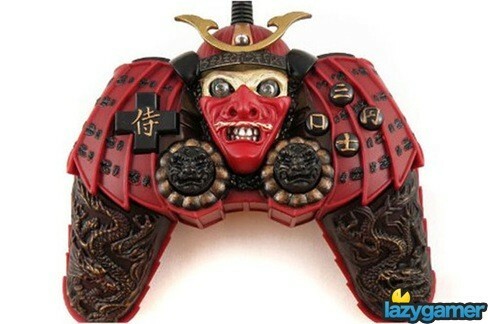 A company wants to make a mark on the PC controller scene, so they come up with some great ideas, settling on a kickass Shogun theme. 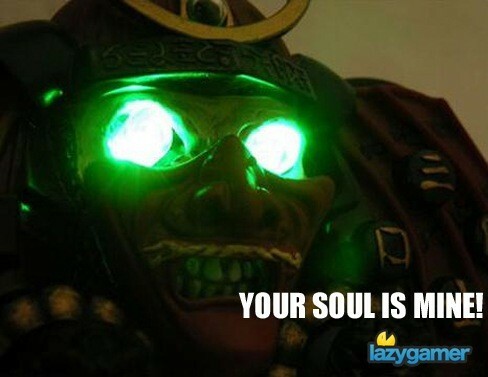 Instead of receiving some sort of Japanese royalty with which we can pwn our friends, we get something that looks like it was made to steal our souls instead. This PC USB controller, the Warrior as its labelled, or the Shang Tsung Megadeth as it should be known, was obviously forged from plastic and the nightmares of children. The mask comes off the rather enthusiastic face that stares back at you, revealing a creepy skull, while the analogue sticks will leave the mark of the demon engraved upon your thumbs. Its currently unavailable, but Amazon will notify you when they have stock of this soul-crushing device again.